RNS is an independent, nonprofit and award-winning source of global news on religion, spirituality, culture and ethics, reported by a staff of professional journalists. RNS is affiliated with the Missouri School of Journalism at the University of Missouri. 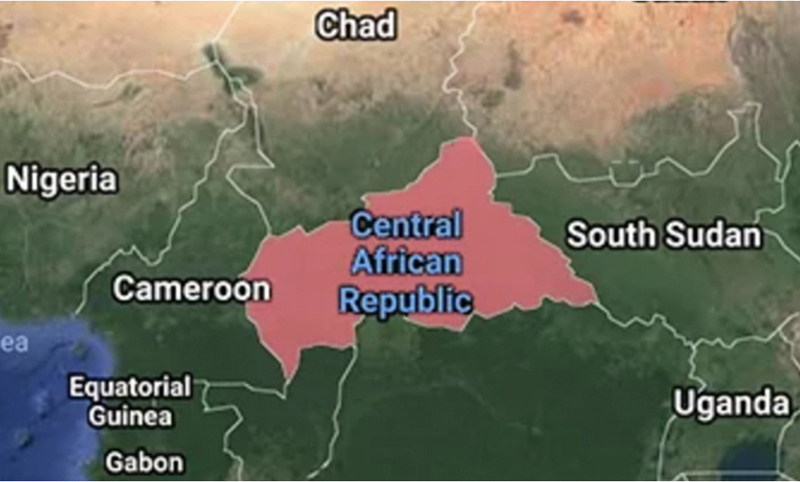 On June 29, Father Firmin Gbagoua, vicar general of the Bambari Diocese, which covers much of the Central African Republic, was killed by a suspected Muslim rebel group. Father Gbagoua, who served as the regional director of Caritas, an international Catholic relief group, was the sixth Catholic priest to be killed in the conflict that has pitted pro-Christian militias, known as anti-Balaka, against Muslim rebels, known as ex-Seleka. Father Gbagoua’s death comes a month after Abbot Albert Tougoumale-Baba was shot dead in an attack in a cathedral in the capital of Bangui in May. Father Joseph Désiré Angbabata was killed in a similar attack in the Bambari Diocese in March. “The attacks can be seen as an attempt to silence the Church for its strong opposition to the violence and its work on peace,” Archbishop Nestor Désiré Nongo-Aziagbia, vice president of the CAR’s Catholic bishops’ conference, told Religion News Service. The majority-Christian country descended into conflict in 2013, when Seleka, a coalition of Muslim rebel groups, overthrew President Francois Bozize and installed their leader, Michel Djotodia, who declared himself president. The rebel coalition rampaged across the country, burning villages and attacking and looting churches. As president until 2014, Djotodia attempted to dissolve Seleka, but splinter groups continue fighting as ex-Seleka. Djotodia’s rise to power ignited counterattacks by anti-Balaka, a mainly Christian and animist group, also called “anti-machete,” so named because Seleka fighters often use machetes in attacks. By the time Djotodia resigned in 2014, anti-Balaka had emptied thousands of Muslims from the southern part of the country. Thousands more fled to neighboring Chad and Cameroon, while others camped in churches under the care of priests and pastors. Fighters on both sides point to religious belief as the reason for the conflict, but many of the country’s faith leaders have stated that it is a political and economic conflict while steering both sides toward peace. Cardinal Dieudonne Nzapalainga and Imam Kobine Layama of Bangui have appeared together in conflict zones as a symbol of unity. Scholars say that faith leaders on both sides are being attacked since they are perceived as interfering with mining natural resources or supporting the other side when they preach peace. “It is an economic and political conflict. Some people are benefiting and when the clerics push for peace, they are seen as interfering with the business,” said Abdallah Kheir, a scholar of African studies and Islamic studies at Kenyatta University in Nairobi. Three years ago, a transitional council adopted a new constitution aimed in part to quell violence. But since then, armed groups that splintered from Seleka and anti-Balaka continue to carry out assassinations, other killings and rapes, according to human rights groups. Francis Kuria Kagema, secretary general of the African Council of Religious Leaders, urged the fighting groups to pursue a new beginning since the violence has caused suffering among innocent citizens. “They should rethink the new constitution, which was approved in 2015. I think that offers the country a chance for a new beginning,” said Kagema, who noted that most of the country’s minority Muslim population was forced out during the conflict. According to Kagema, there should be more grass-roots peace efforts, and the Muslims who were forced out should be allowed to return. “They should be helped and supported to resettle,” said Kagema.